Even if you’re not much of a baker, you can make this lovely cake for a special occasion. It’s not as hard as you might think, but does take some prep work to prepare this beauty. This beautiful cake is everything you need to make any occasion special! 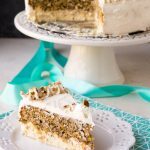 A layer of sugar-free cheesecake and a layer of the best low carb carrot cake you will ever have, all covered with sugar-free cream cheese frosting! 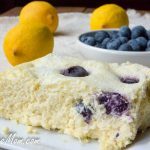 Friends and family will be shocked when they taste it and then you share this is a Healthy Low Carb, Gluten Free, Sugar-Free Cake! I’d never call myself a baker. I’m certainly not much of a cake decorator. It doesn’t come easily to me and I struggle with making desserts pretty. This cake has been on my mind to make for a long time, hubby loves carrot cake and I love cheesecake. 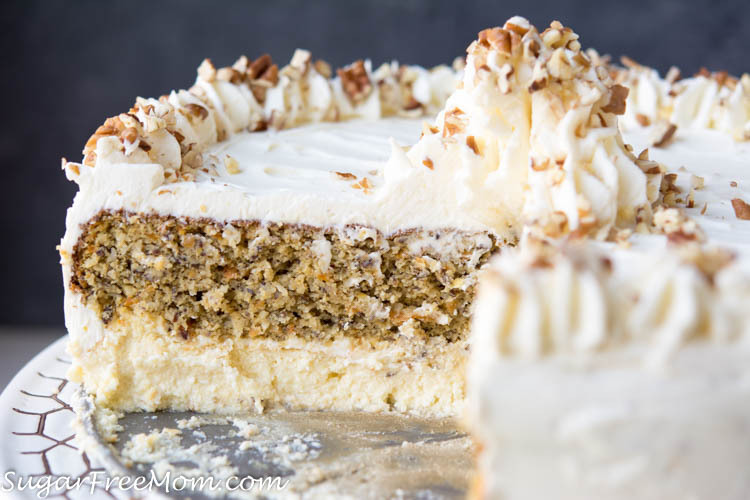 When I looked around on Pinterest for cakes similar to what I wanted to make, I saw this beautiful Carrot Cake Cheesecake Cake from Shugary Sweets and it inspired me to finally get a sugar-free low carb version done! I adapted my Carrot Cake Mug Cake recipe and one of my cheesecake recipes to create this beauty. I made this for Easter a few years ago and no one could believe it was low carb! The best part about this luscious cake is that even days later kept in the fridge, the carrot cake never became dried out! All the cheesecake and frosting kept it as perfect as the first day we ate it and I’m talking up to 5 days later, we still loved it! But some of you are thinking you can’t have carrots on a keto diet, right? Wrong. There is only a 1/2 cup of shredded carrots in this entire cake which has 12 servings. 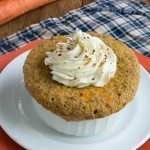 Now if you ate a 1/2 cup of carrots that may spike your blood sugar, but in a serving of this cake you are getting less than a tablespoon. I don’t think we should free certain foods on a keto diet. The inside of the carrot cake does not contain nuts. Only the top has nuts on the frosting to decorate it. So if you have a nut allergy in the family like my youngest child does the nuts on top can be eliminated and you’ve got a beautiful allergy friendly cake for anyone! Place the cream cheese and sour cream in a stand mixer and blend until smooth. Add the heavy cream, stevia, extract, Swerve and salt and blend on high until combined. Add one egg at a time and blend until well incorporated. Pour the batter into a greased 9 inch spring form pan. Wrap the bottom and half way up the pan with aluminum foil and place into a roasting pan. Pour hot water into roasting pan to half way up the sides of the spring form pan. Bake 45 minutes until golden but still jiggly in the center. Allow to cool then refrigerate for 2-3 hours or overnight. Place the first 5 ingredients into a stand mixer and blend until combined. Pour batter into a greased9 inch spring form pan. Bake for 30 minutes or until a toothpick in center comes out clean. Prepare frosting by adding all ingredients into a stand mixer. Taste and adjust sweetener if needed. Remove spring form from around each cake. Place the cheesecake onto serving platter. Lay the carrot cake on top of the cheesecake. Spread frosting over the top of the cake and sides. Decorate around the outer edge of the top of the cake and add a sprinkle of chopped nuts if desired. 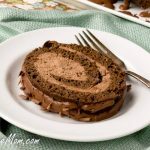 This recipe was first published in April of 2017 and with updated content and video in February 2019. Please weigh your measurements with the dry ingredients which can tend to be different when using cup measurements. Weight measuring is the only accurate way to get the best results and perfect texture. There are natural sugars in the dairy products and carrots which is where the sugar grams are coming from. Cream cheese frosting could be reduced by half if you decide to only frost the top of the cake as opposed to all around the sides as I did. Crushed pecans on top are optional and not included in the nutrition information. If you don't like stevia or use it I can tell you my hubby is not a fan, but I can promise you he tasted no aftertaste whatsoever! He was in love with this cake! Please use whatever sweetener you like but only use a small amount and taste it before adding more. You can always add more but never can take any away once it's been added. The cheesecake layer can be tasted before adding the eggs and you can do the same for the carrot cake and frosting. That looks delicious. May have to request this for Mothers Day. What size springform pan did you use? Thanks. sorry just updated it, 9 inch. I can’t wait to make this! 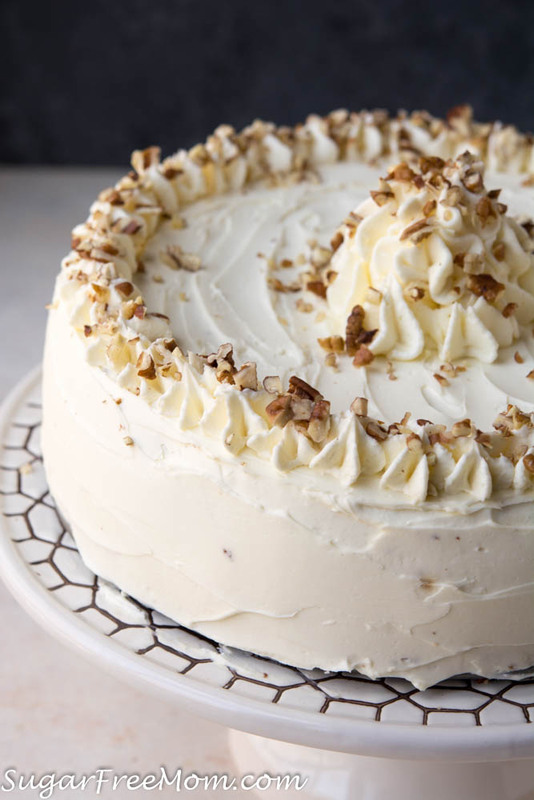 Carrot cake is my husband’s absolute favorite. We have been eating a very restrictive carb diet. 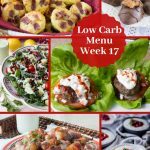 My husband has been battling Lyme disease, and eating low carb has made such a difference in his quality of life. This is going to be such a treat for him. Thank you so much for sharing! 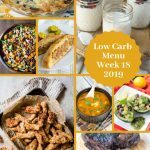 Thank you for mentioning this …I was looking for dessert to make for Easter ~ my husband and myself are currently undergoing treatment for lymes disease also, low carb … no carb has been how I’ve eaten for years prior to diagnosis, not knowing my illness, this was an encouraging read for my husband to hear, I think he was watching me make changes but still unwilling to do the same. I’m hoping this will be some motivation for him to join me … I cook low carb but he still wants his carbs, mainly his breads! Hi, how much cinnamon, cloves and nutmeg do you use if you don’t have allspice? Would this freeze well? I want to make it on the weekend for consumption on Wednesday next week – just wondering if it will still work from frozen? I think so, but I’ve done tried it. What could I use to substitute the flax seeds? I have been reading that flax & chia seeds are very high for our estrogen levels and are not as healthy for us as once thought so have been trying to eliminate them from our diet . What is your take on this info? Yes I’ve heard that but I think small consumptions are fine for some of us. The flaxseed give this some great texture. Maybe swap it with almond flour if you have no allergies to nuts. I made this recipe a few days ago, and it was AMAZING. Everyone who tried it love it and couldn’t tell it was low carb. I will definitely be making it again, but minus the coconut as I’ve never been a fan of the texture. Thank you for sharing the recipe for this wonderful cake! Will this work without the water bath? The edges might get more dry than the middle of the cake. If you were using monkfruit sweetener, do you need to have the brown sugar type or will the regular white kind work for the cake section? No I think the granulated will work, you don’t need the brown sugar sub. What kind of oil did you use for the carrot cake? Avocado or olive oil, you could use coconut oil as well. Is there a sub for sukrin? I have monkfruit granulated sweetener and swerve granulated sweetener. Would it be 3/4 cup or less? I am unfamilair with how sweet sukrin is and didnt know how it compared to the other two. Ive noticed monkfruit is much sweeter than swerve so I tend to use half of that when subbing in recipes. Thanks in advance! Hi!! 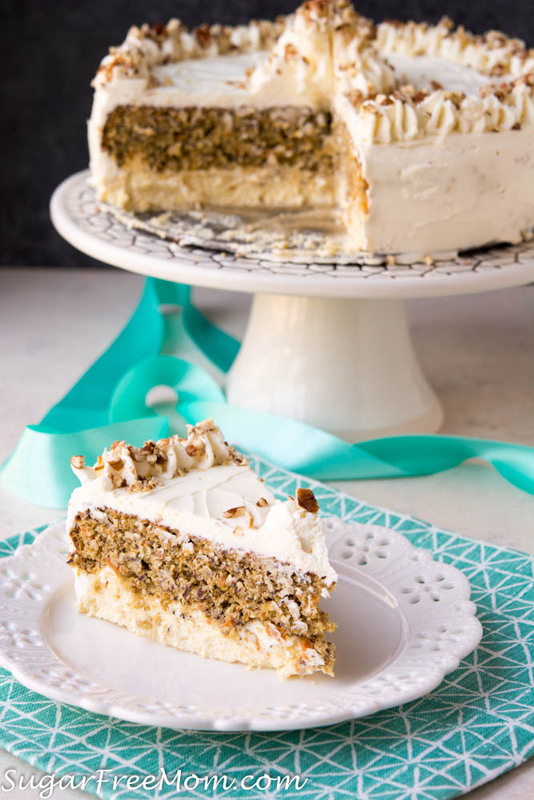 I plan on making this this for Easter and was wondering your thoughts on using almond milk instead of the heavy cream in the cake and frosting. I know little changes in ingredients can make BIG changes in the final product. I honestly haven’t tried that swap but I think it would be fine for the cake but not quite sure for the frosting. To Rebecca – instead of heavy cream, why don’t you try evaporated coconut milk in the cake and coconut cream in the frosting? Are there any substitutes for vanilla stevia or any other flavored stevia? This is kind of expensive to have to buy on top of everything else. Thanks for your reply. you can really sub any sweetener of choice you like. I am watching for a reply to Brenda regarding the sugars. I also use monk fruit. It has no bitter aftertaste and you can use way less. Just not sure how it will affect the cake. Thanks. 459 calories for one gram of cake? I don’t think so, definitely not for me! 1 slice, the recipe plug in had a glitch. Don’t have fla seed. Can I leave it out? You’ll need to add something to replace it with, maybe almond flour if no nut allergies. 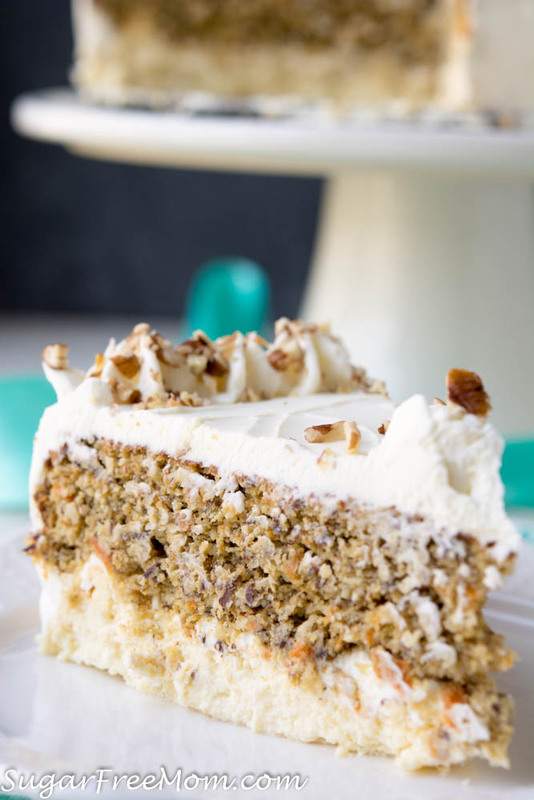 This sounds wonderful, I’m going to try to make this soon..we miss carrot cake !! You say to weigh, but is there a way to know how much things way per the required measurement? Thanks! No you need a scale to be most accurate but for the most part the measurements should be fine to use. It’s just when people change some ingredients there may be issues. Was that whipped cream around the wedges and in the middle? Or was that the extra cream cheese for the topping? It was all the same cream cheese frosting used in the middle and on top. Hi Brenda do you recommend adding Pineapple to this? Would 1/2 cup create and issue? I don’t think 1/2 cup will be an issue, but of course the carbs will increase since its pineapple. I made this for easter — I was AMAZING. Absolutely perfect! 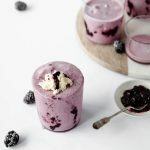 My guests also enjoyed it and were shocked when I told them it was sugar free and low carb. A keeper for sure! This looks amazing! The notes suggest weighing dry ingredients but the recipe doesn’t list weight amounts. Click the metric link below the ingredient list for the weights. Wow! I made this for Father’s Day as my husband loves both cheesecake and carrot cake with cream cheese frosting. 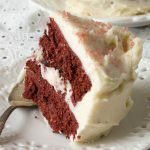 This is definitely the BEST keto cake I’ve ever had — maybe one of the best cakes ever! Thank you SO much for posting this recipe. And by the way, I do not post, EVER…but I just had to break my “never” streak and let you know how good this cake is! I even took a picture of it because it was so pretty. And those of you reading this, don’t let all the preparation scare you as it’s not as daunting as it may appear. I made the cheesecake one day and the carrot cake, etc. the next day. It is well worth whatever extra effort you have to go through. My husband’s suggestion was to make another layer of carrot cake to go under the cheesecake, just so you have a little something to hold it all together and bite into (and the carrot cake part was his favorite). I would love to do this, but how would you get the cheesecake layer off the bottom of the spring form pan to sandwich in between 2 layers of carrot cake? The cheesecake part seemed to be pretty well glued to that pan bottom so I just left it and placed it on the serving platter as is and constructed the rest of the cake from there. Any ideas? Thanks again for such a great recipe. This one is already in my permanent file! — Oh and my husband immediately claimed at least 1/2 the cake is just his!! Reading this today made my day!!! Thank you! This sounds amazing! Not a fan of coconut flour for baking though. Can the coconut flour be substituted with almond flour? Really can’t be swapped one for one. You’d have to reduce some of the wet ingredients and use much more almond flour to replace the coconut I used. I would need to test it out because I am not sure you’d get the same results. You honestly can’t taste coconut, it is masked by all the other flavors. I would like to make this for the upcoming holidays. You say to weigh all of the dry ingredients. I am missing the required weights. All of the dry ingredients in the recipe I see printed are measured. Thank you for your help. At the bottom of the recipe you can click Metric and you’ll see weight amounts. I was thinking that you could put a almond nut crust under the cheese cake. This will make it easier to serve. 1/3 of a cup of cream. Stevia to taste. Although next time I am going to try Erythritol. This makes a slightly lighter version of icing. Thanks for that s great recipe!!! This looks amazing! I was looking for something I could make myself for my birthday in March and this showed up in my email! It must be fate lol! 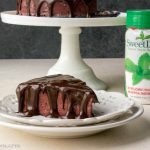 Please come up with these fantastic deserts that are sweetened naturally without adding things such as Stevia. I am one of the many who are left with a terrible bitter taste in their mouth for hours… after eating Stevia. I wonder if this recipe would still taste good without any sweetners? Have you ever tried it? 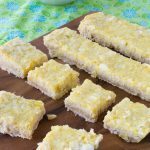 Can I use almond flour in the place of coconut flour & not use unsweet coconut? Unfortunately you can’t swap coconut and almond equally without having to adjust wet ingredients. You can use a sweetened coconut but then it wouldn’t be sugar free and keto and you would need to reduce the sweetener used. Anyone tried coconut cream instead of dairy? I appreciate the suggestion to weigh ingredients, instead of using a volume measurement. It would be helpful if the recipe included weights in the ingredient list, in addition to the volume measurements. Right under all the ingredients is an option to choose Metric, once you click on that it shows all the weights. Your recipes are beautiful! I’m going to make this for Easter. Thank you!! I can’t wait to make this! I only have one spring pan though – do you have to bake the carrot cake in that or can you use a regular baking pan? I only have one spring form as well, but did in steps. Baked the cheesecake earlier in the day, cooled, chilled and plated that evening. Washed and regreased same springform to make the carrot cake layer in the evening. After cooling the carrot cake, I wrapped in plastic wrap and assembled with the cheesecake layer today. Worked perfectly! Just finished making, assembling and icing this cake. I completed in steps over a few days like a previous poster mentioned and it was sooo easy to make. Everything worked out perfectly and the cake looks very impressive! Can’t wait to slice into when we get together with family this weekend. Thank you for another fantastic recipe! How many servings/ slices are in this cake? Right under the title of the recipe, servings are 12. I will definitely use parchment paper under the cheesecake layer from now on; I turned it over onto my serving platter and had to carefully lift and scrape the cheesecake from the bottom of the pan, then patch and smooth it out before chilling again. Doesn’t matter since that will be under the carrot cake, but parchment paper would have made it easier! I’m putting a round piece cut to size under the carrot cake layer before baking also. Made this for Easter, it is delicious!! 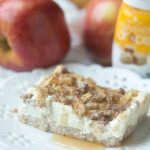 I’m not a fan of stevia but it worked in this recipe. The only suggestion I can offer is to put some of the icing between the cake and cheesecake layer so it stays together when you serve it. Other than that I wouldn’t change a thing. This recipe is a keeper!